Driving Miss Daisy is a 1989 American comedy-drama film adapted from the Alfred Uhry play of the same name. 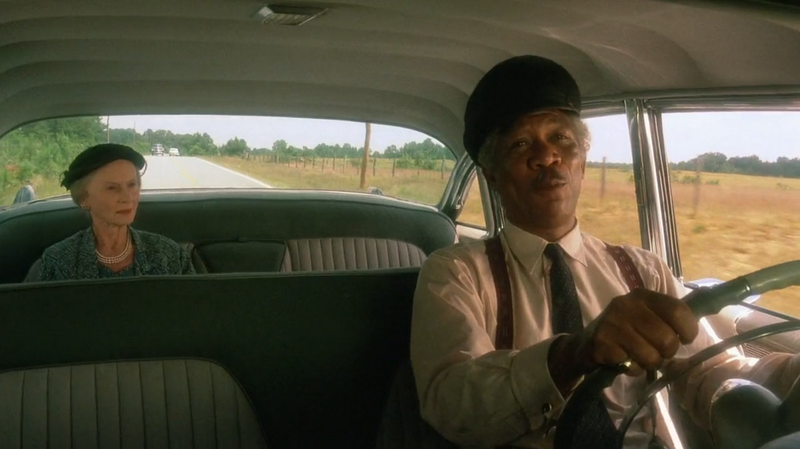 The film was directed by Bruce Beresford, with Morgan Freeman reprising his role as Hoke Colburn (whom he also portrayed in the play) and Jessica Tandy playing Miss Daisy. The story defines Daisy and her point of view through a network of relationships and emotions by focusing on her home life, synagogue, friends, family, fears, and concerns over a 25-year period. At the 62nd Academy Awards in 1990, Driving Miss Daisy received nine nominations, winning four for Best Picture, Best Actress (Jessica Tandy), Best Makeup, and Best Adapted Screenplay. - Jessica Tandy, at age 81, became the oldest winner in the history of the Best Actress category. - It was the first Best Picture winner since 1932's Grand Hotel which did not receive a Best Director nomination. (This has only occurred once since, for Argo in 2012). Wings, the 1927 film that was the first to win Best Picture, did not have a nomination for director William Wellman. In his opening monologue at the 62nd Academy Awards, Billy Crystal made fun of this fact by calling it "the film that apparently directed itself".